When it comes to medical imaging, there are quite a few myths and misconceptions about them. Let’s take a look at the facts about diagnostic imaging in Fair Lawn. Why is medical imaging so much clearer, safer, and more efficient than ever before? That’s what we’re talking about today at Fairlawn Imaging. Read on to learn more about our diagnostic imaging services. If you’re nervous about getting diagnostic imaging performed, just remember that you have options available that were science fiction just 50 years ago. Find out more! Why Are MRI Scans Such an Expensive Type of Diagnostic Imaging? When it comes to MRI scans in Fair Lawn, have you ever wondered why MRIs are so expensive? That’s what we talk about today. Ready on! How much do you know about CT scans? Are they any different from CAT scans? That’s what we find out today, so read on to learn more about medical imaging in Fair Lawn! What is a DEXA scan, and is it a type of medical imaging that you should be afraid of? Find out more right here! If you’re coming in for an MRI, it might seem mysterious. Maybe learning a bit more about them will put your mind at ease. Let’s take a look at what makes MRI scans work! If a doctor orders an MRI, you have nothing to worry about. Magnetic resonance imaging is an incredibly powerful medical imaging tool, and it’s very safe. Let’s learn more! While we use x-rays every day, we seldom take a moment to think about their amazing history or other tasks they can be used for. Check it out! How Do MRI Machines Work At Our Medical Imaging Center? When your doctor says you need a scan, you might be nervous. But when it comes to MRIs, there’s no reason to be nervous about the procedure itself. Learn more about this type of diagnostic imaging we provide at Fair Lawn Imaging! 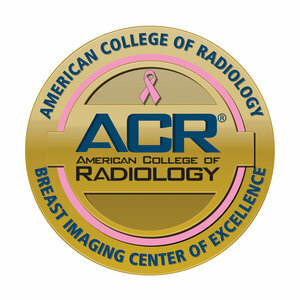 If you haven’t heard of 3D tomosynthesis digital mammography, we’re excited to tell you about it. 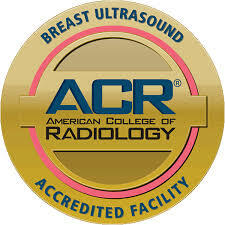 It’s an excellent way to get high-resolution images of the breasts and any problems they might be having, delivering the best pictures and the safest amount of radiation possible. Contact us today to schedule! Why do doctors trust Fair Lawn Imaging? That’s what we’re going to talk about today. Let’s discuss a few reasons why so many doctors trust in our medical imaging services and why they keep sending patients to us. Read on! What should you expect when you head to a medical imaging center? How should you be treated? Here are our ideas. A lot of people have something to say about our medical imaging services, but today we’re going to hear from one specific customer. What Is A Radiologist at Our Diagnostic Imaging Center Looking For? How to medical imaging experts team up with doctors in order to help patients. Here are three ways we complement them. Why is it so important to find the right medical imaging service the first time? What should you look for in one? Let’s find out. What Does It Take To Have A Career in Medical Imaging? What does it take to get a job in the medical imaging field? What does a person need to get into diagnostic imaging? Let’s find out. Today we take a look at some reviews we’ve received for our diagnostic imaging center. What are people saying? Find out here! The Chamber of Commerce is an active member of the Fair Lawn Economic Development Corporation. They give opportunities to get more involved in our Chamber of Commerce. MEMBER OF THE MONTH SPOTLIGHT! Fair Lawn Imaging is proud to be serving Fair Lawn, New Jersey and surrounding communities for over 25 years. 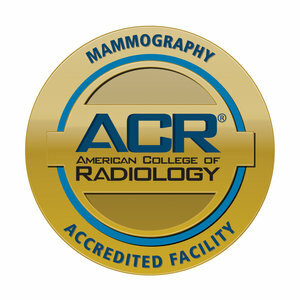 Fair Lawn Imaging's goal is to be the "best in radiology" within their community. They do this by providing quality diagnostic imaging services in a soothing, comfortable, and stress-free environment. Board-certified radiologists work with a caring, attentive and well-trained staff to assist each and every patient through their exam. In 2016, Fair Lawn Imaging revamped their women's imaging department to now offer new 3D Tomosynthesis mammograms as well as a comprehensive breast care program empowered by the Women's Health Imaging Project W.H.I.P (check out www.projectwhi p.org). OPEN MONDAY-SATURDAY X-RAY WALK-INS WELCOME SCHEDULE YOUR APPOINTMENT WITH THEM TODAY! Medical imaging is becoming commonplace in the lives of US citizens, but what about those who are in developing countries? Let’s find out.